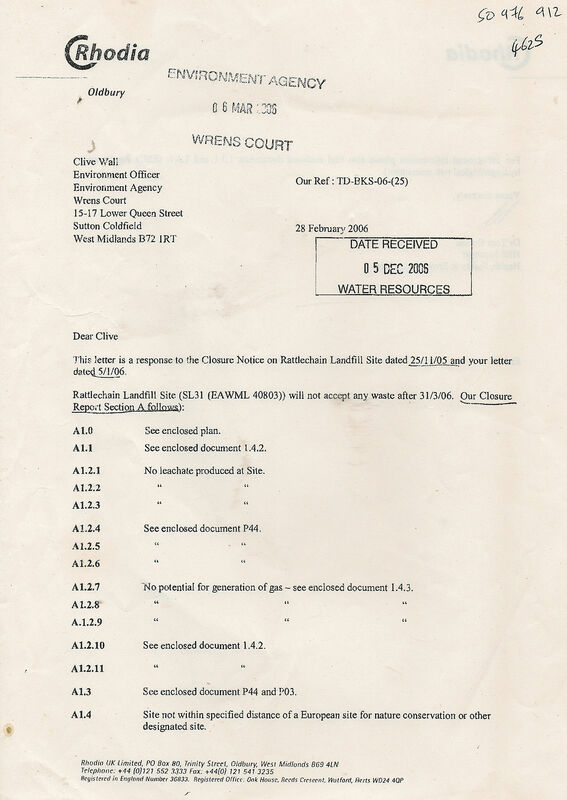 In a query relating to Rhodia’s long term plans for the Rattlechain lagoon site, we were provided with the following explanation from Environment Management Team Leader Dave Whitford in a letter dated 2nd August 2008. This explains from an official source, the theory behind what happens to a hazardous waste site when it no longer receives waste. IT ALSO CLARIFIES WHAT THE REAL PURPOSE OF WORKS CARRIED OUT IN 2013 UNDER THE “PROTECTING WILDLIFE” GHOST STORY WERE ABOUT. 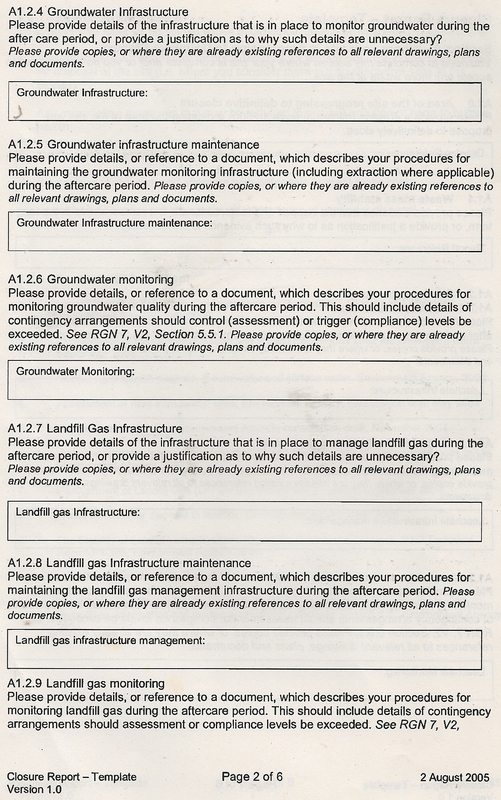 “The term “Closure Plan” comes from the provisions of the Landfill (England and Wales) Regulations 2002. 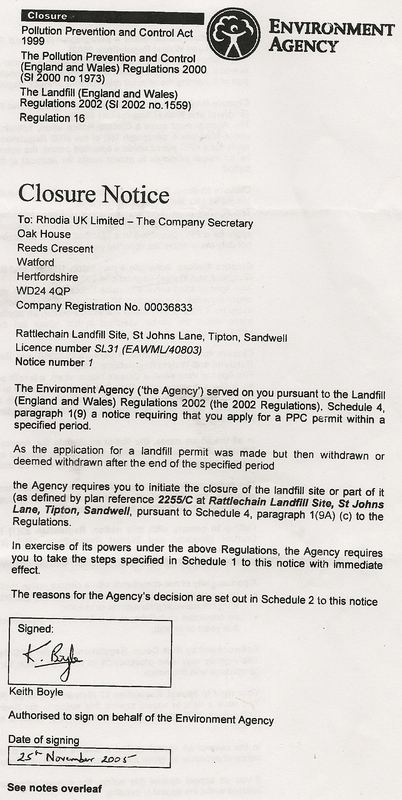 Where a site continued to receive wastes after 16th June 2004 and had no further intention of replacing its Waste Management Licence with a permit under the 2002 Regulations, we were obliged to serve a Closure Notice. 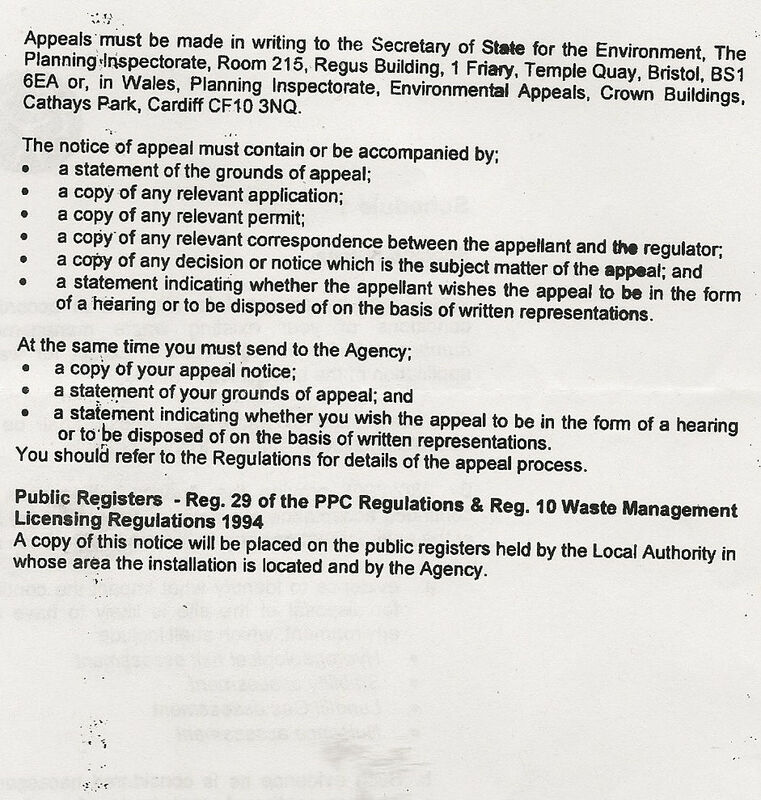 This required the licence holder to initiate the closure of the site and submit certain details to us by 28 February 2006 if they wished to continue to take waste. I enclose a copy of the Notice and schedules for your information. Rhodia decided they only wished to take wastes until 31st March 2006 and submitted the details required by paragraph a Scedule 1, the Closure Report, to comply with our requirements for this short period. The EA Closure Notice referred to in paragraph one is below. 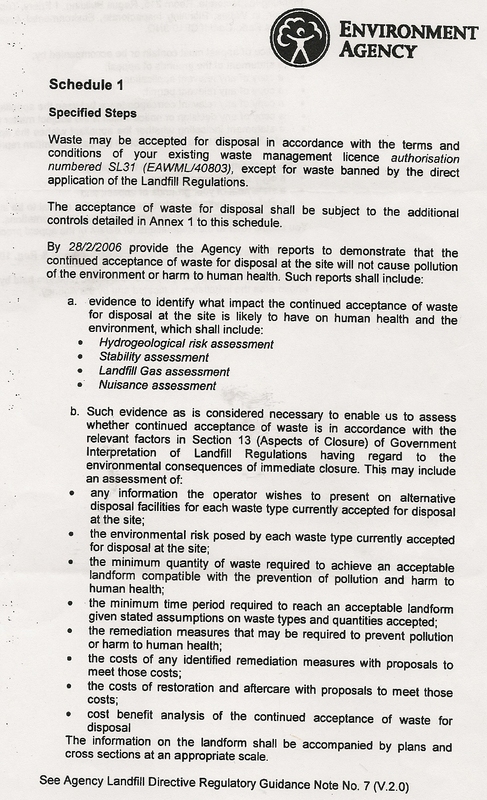 Additional Controls for the acceptance of waste at the landfill. We will look at some of these in further detail. 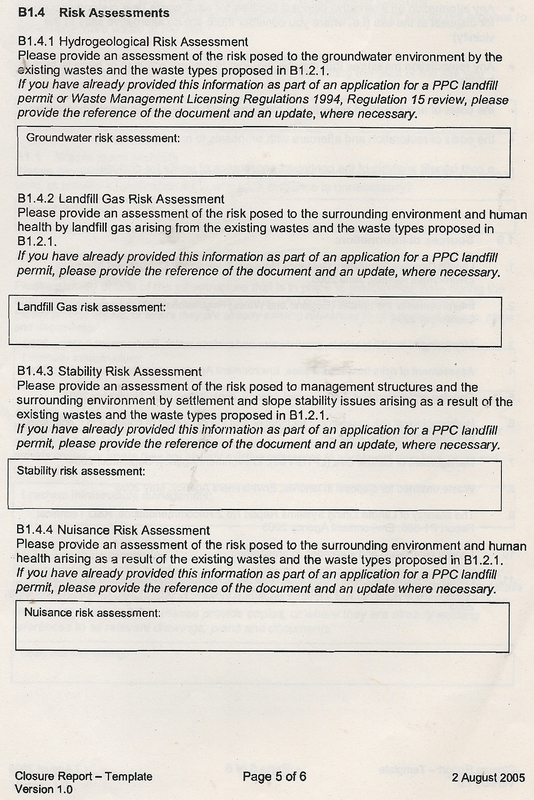 HSE Procedure P44 Rattlechain Landfill site procedures– a 19 page report. Click to see our analysis of this “story”. HSE Procedure P3 Accident reporting and investigation Procedure (ARIP)-a broad 43 page theory/pastoral care report which does not relate directly to the rattlechain lagoon site. 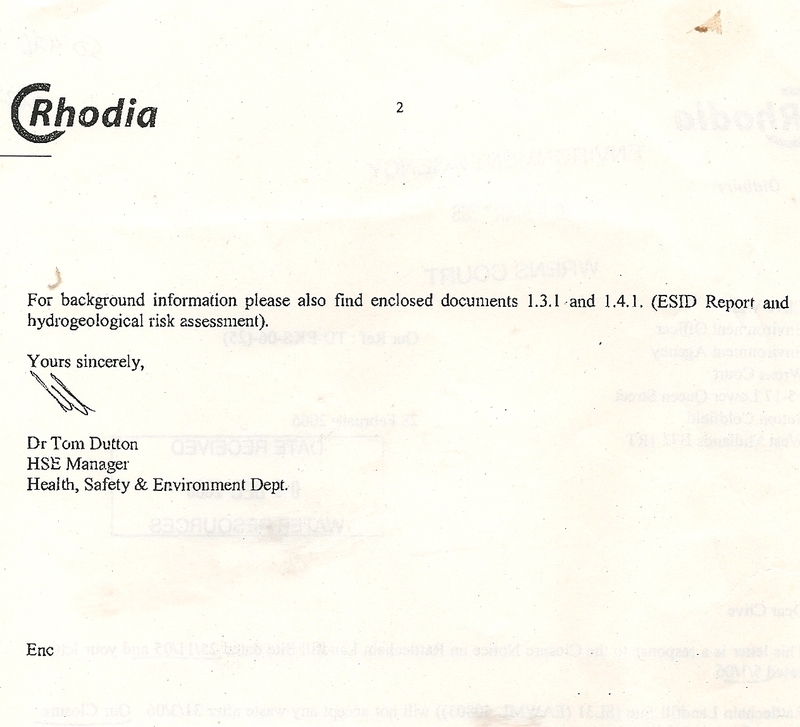 Rhodia submitted a closure report (section a) to the Environment Agency on 28th February 2006, in a covering letter from Tom Dutton, HSE Manager. nb The Rattlechain site is within the area of a designated site. 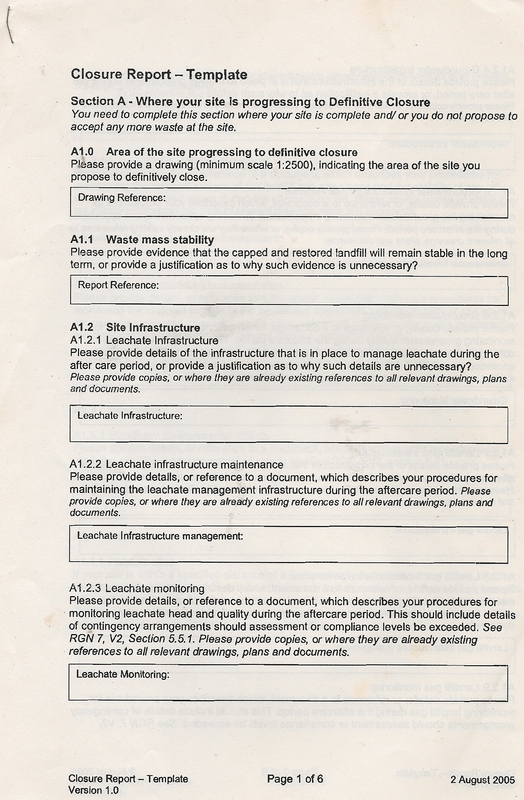 Sheepwash Local Nature Reserve was designated in 2001- before this document was submitted. The EA Closure Report Template is shown below for clarity of what this had to consist of. NB Section b was not completed by Rhodia as they did not intend to continue to deposit waste. The statement concerning calcium phosphate is yet another example of how this grotesque lie has been allowed to contaminate independent scrutiny of what the site contains- or contained before licensing. That the most dangerous unclassified waste is likely to lie deeper down, and that this waste was periodically churned up because Albright and Wilson and Rhodia could not operate the site properly with regard to waste deposits above surface level, the potential for leachate is possible. “No significant evidence”- so this implies there may be some and who has interpreted this- Albright and Wilson and Rhodia- along with they who conducted the so called “groundwater monitoring” for themselves? WOULD WORKS MANAGERS HAVE REPORTED “SIGNIFICANT ENVIRONMENTAL EFFECTS” GIVEN THEIR BONUS SURRENDER FOR DOING SO, AS THE EA NOTED WHEN CONDUCTING AN AUDIT IN 1997? nb According to this, Rhodia do not have any consideration for landfill leachate management for the aftercare phase on the basis that they themselves do not consider there to be any. Nor are there any “compliance levels” set. 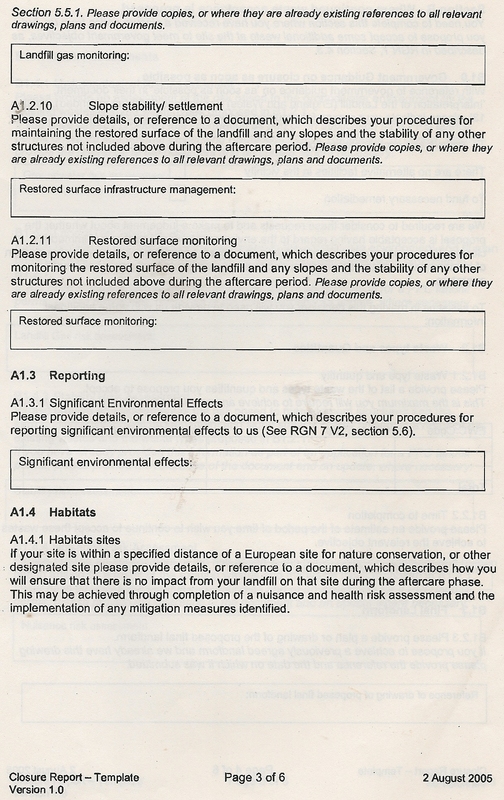 4.6 We required details of the aftercare monitoring as part of a closure report in the closure procedure under the landfill directive. 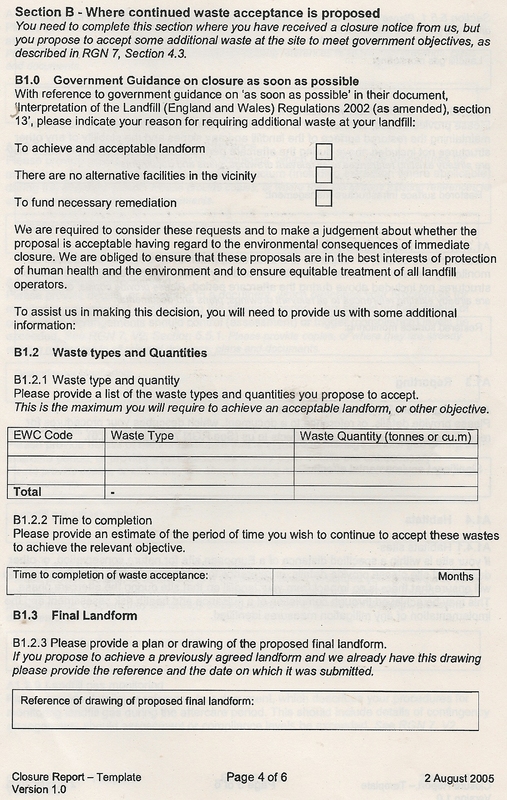 These requirement were then incorporated into the permit when we were satisfied the landfill was definitely closed. nb Rhodia did not interpret section A1.4.1 correctly. Sheepwash Local Nature Resereve is less than 100 metres from the rattlechain site. Consultants URS identify the site erroneously in the ESID document on page 2. 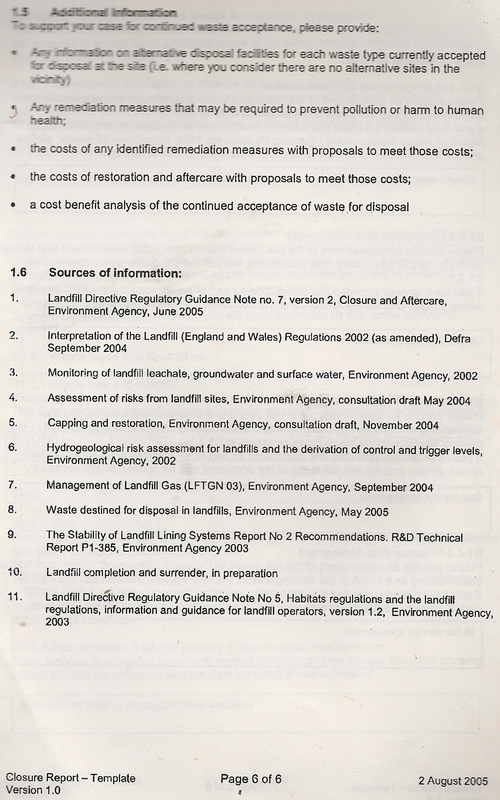 Source of these documents The Environment Agency. Elements of this initial closure plan would be rewritten following the 2013 works at the site, which were entirely related to Rhodia/Solvay fulfilling their legal requirements and The Environment agencies in relation to The Landfill Directive. 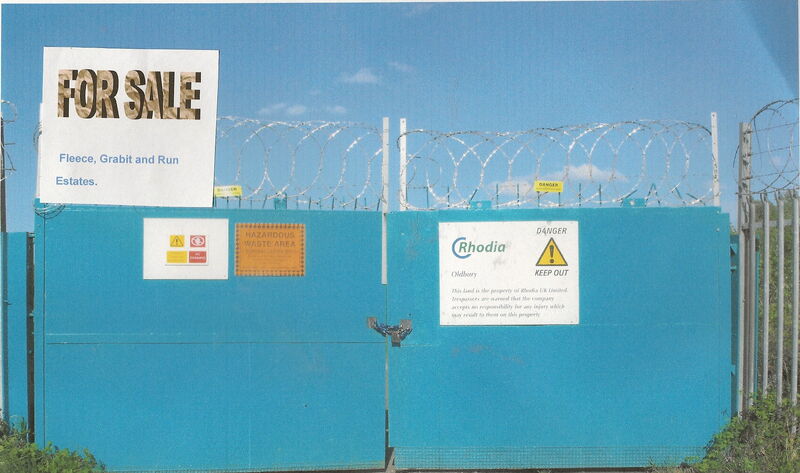 THE CLOSURE OF THIS SITE MAKES THE SURRENDER OF THE LICENCE A STEP NEARER- A STEP NEARER SELLING OFF THE SITE – A DISPOSAL WHICH WILL RECLAIM RHODIA/SOLVAY OR WHATEVER THEY WILL CALL THEMSELVES AT THE TIME A GREAT DEAL OF MONEY.